Palm Tree comes up through the middle and out over the top of the glass globe. 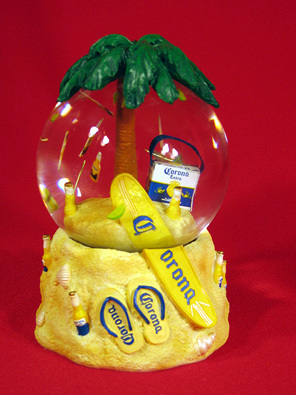 When shaken Corona bottles float around inside. Approximately 6 ½” tall x 4 ½” wide.